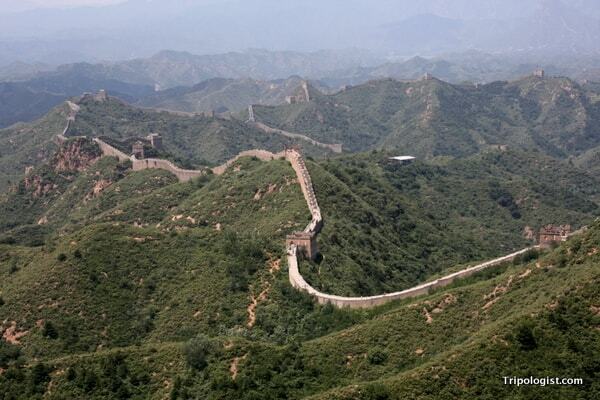 If I could only use one word to describe the Great Wall of China, what word would I choose? Maybe I’d pick something like majestic, beautiful, or awesome. After all, there is nothing else like the Great Wall of China. But no, I don’t think any of those words are quite right. So, what about imposing, intimidating, or long? Well, the Great Wall was built to intimidate potential invaders, and the Chinese does translate to “Long Wall”. However, I just don’t think those words are right either. If there’s one word that describes the Great Wall of China in my mind, it’s “ironic”. However, I haven’t gone crazy (yet). I really think that the best word to describe the Great Wall of China is irony. 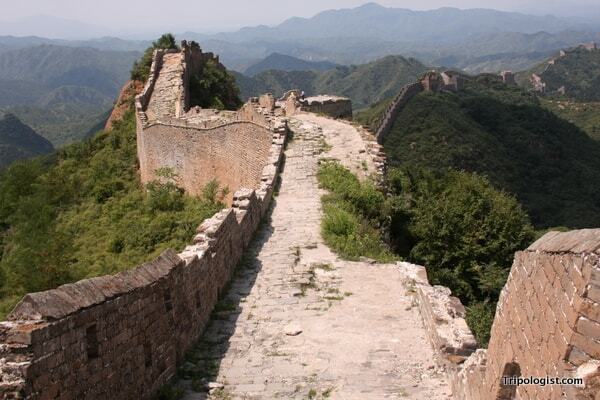 Hundreds of years ago, the Wall was built in an effort to keep invaders out of Chinese lands. However, not only did it fail at doing that (twice), but it has fared even worse in modern history with many visiting the country just to take a walk on the Wall. Taking a second to relax on the Jinshanling section of the Great Wall of China. And therein lies the irony of the Great Wall of China; what was built centuries ago to keep foreigners out, has become one of the country’s biggest draws. However, there is a good reason that people come to the Great Wall of China. It is beautiful, majestic, and intimidating. 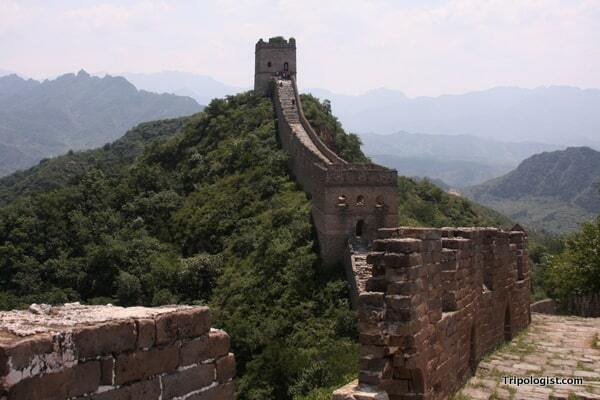 Unfortunately though, peaceful isn’t a word that you can often associate with the modern version of the Great Wall. Instead of being a quiet outpost on the outskirts of China, the Great Wall more often resembles a cross between Times Square and Disney World with vendors hawking their products and throngs of tourists jostling for the best pictures all on a wall that has been heavily restored. What’s worse, many come away disappointed because they weren’t able to see the Great Wall of China that they had imagined. I’m here to tell you, though, that this mystical wall does in fact exist. It’s a place where guard posts outnumber tourists and where restored sections of the wall lead to crumbling staircases. It’s a place called Jinshanling. 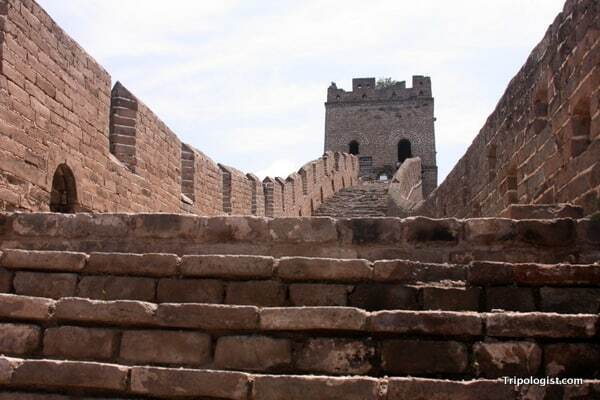 Originally constructed in the 14th century, the Great Wall at Jinshanling was restored in the 16th century, but has generally been left undisturbed since that time. However, that’s not to say that it hasn’t been restored at all. 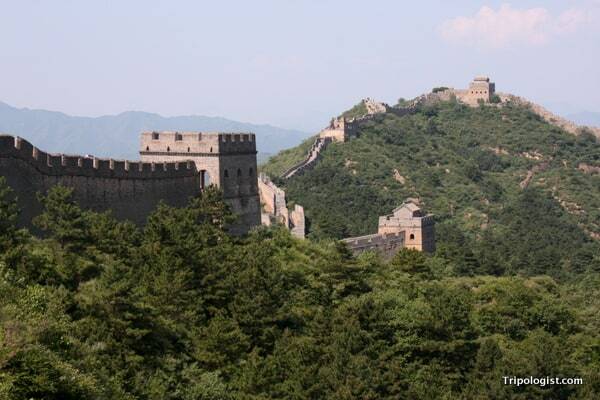 In fact, the first portions of the Wall you’ll encounter have been restored as well as those at the tourist Mecca of Badaling. 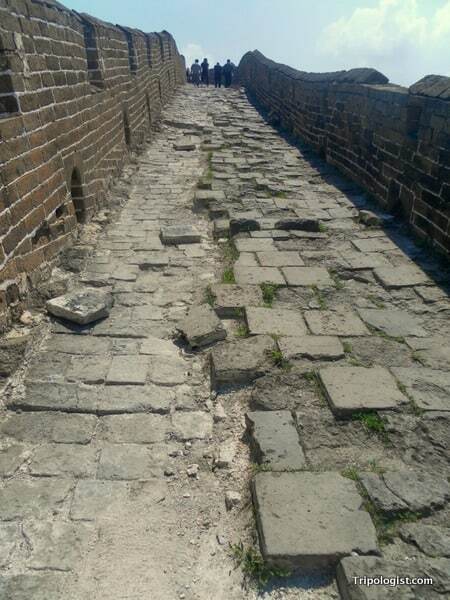 However, if you walk more than five minutes, you’ll start to notice the Wall quickly deteriorating below your feet, until you’re climbing a section of Wall that hasn’t been restored in nearly 500 years. For some reason though, tourists have yet to flock to this section of the Wall. 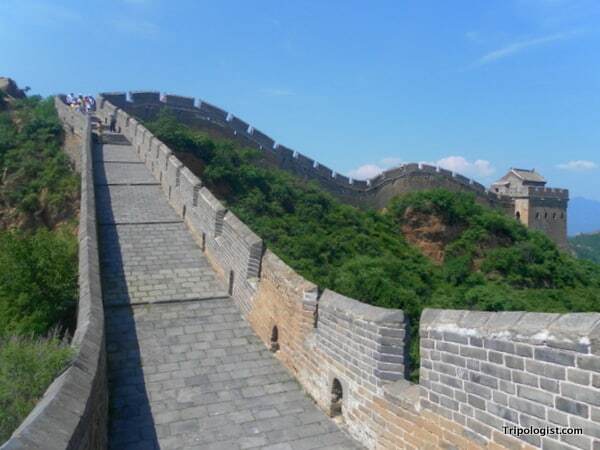 When I visited the Jinshanling Great Wall on a beautiful summer weekend in 2012, you could have easily counted the number of other tourists on the Wall. Because of this, I had the opportunity to really experience the Wall. I could stop and stare at the beautiful scenery, rub my hands along the jagged edges, and get some fantastic photos without thousands of tourists in them. Below, are some of my favorite photos from my day on the Jinshanling Great Wall of China. I hope you enjoy them. 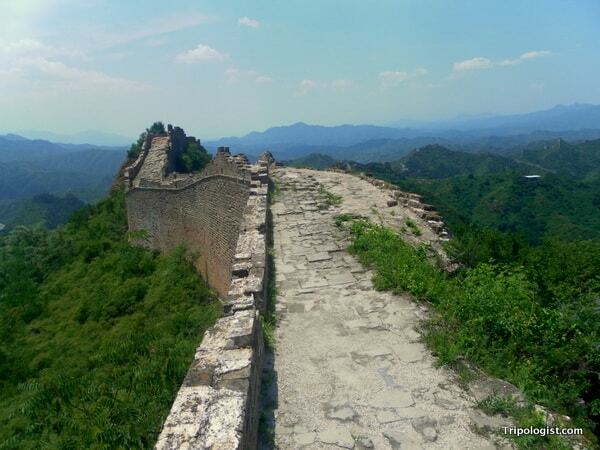 If you’re planning a visit to Beijing and to see the Great Wall of China, I highly recommend spending the bit of extra money and time to see the Jinshanling Great Wall. You won’t regret it. The Jinshanling Great Wall snakes off into the distance. 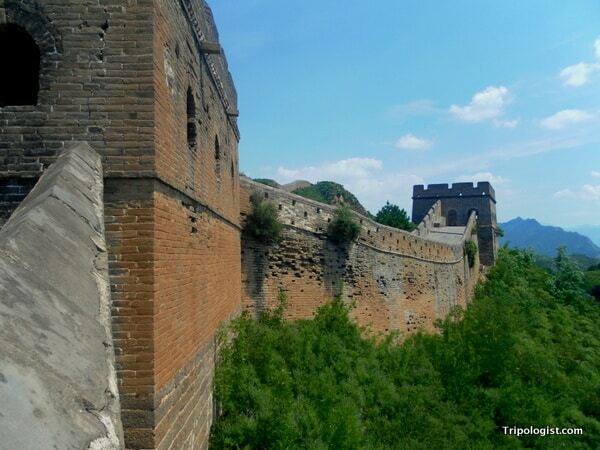 The Jinshanling section of the Great Wall of China has parts that are beautifully restored. However, some parts haven’t been restored in nearly 500 years. A partially restored section of Wall. The outside of the Great Wall of China at Jinshanling. Another unrestored section of Wall. You won’t find peacefulness like this at the Badaling Great Wall. The Great Wall of China snakes off into the distance. 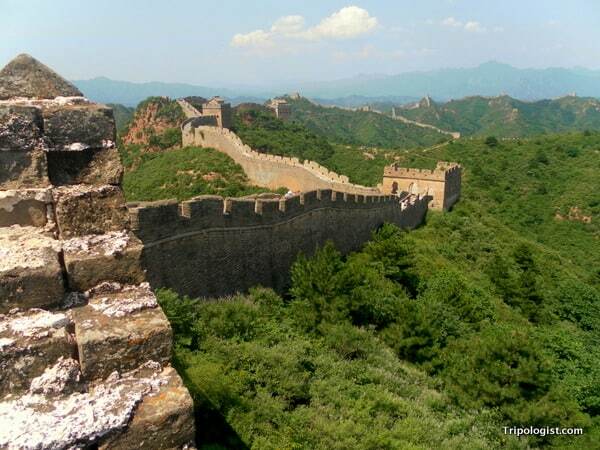 I’ve never thought about the Great Wall of China as being ironic but you have a great point – it’s one of the reasons I want to visit China. It’s a great place to visit. I hope you make it there someday. Really interesting view 🙂 How is backpacking in China? I’ve never really thought of it as a backpacking place but I’d love to visit it without having to spend a bomb on hotels! 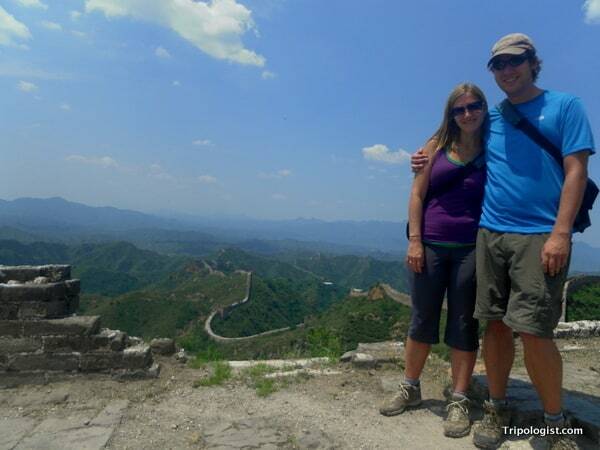 China is a challenging, but rewarding destination for backpacking. I spent about 6 weeks in the country, and I, while it was the only country I’ve ever gotten culture shock in, I enjoyed my experience immensely. Definitely somewhere worth visiting. This looks lovely! I wish we’d gone to this section. Instead we only made it as far as Mutianyu and came away disappointed. I think it’s the unrestored bits that give it character. And the lack of crowds must certainly help. I didn’t have a chance to visit the section at Mutianyu, but I do know it gets a lot more visitors than Jinshanling. I agree that the unrestored section at Jinshanling gives it a lot of character. We did the 10 km hike from Jinshangling to Simatai. Amazingly beautiful, with a great zipline at the end. Well worth the effort. That’s awesome, Margaret! I wanted to do the same, but the Simatai section was closed for repairs when I visited. Glad you enjoyed your visit.